In a posting dated July 28, 2017, Williams used our estimates (he did not try to run his own) and our database (which he did not identify as incomplete) to run his own analysis. Williams’ innovation was to remove cases from our list which he determined should not be considered to involve homeschooled children. Williams looked at 61 homeschool fatalities from 2003 to 2012 and determined that 21 were legally homeschooled, 19 were truant, and 21 were low regulation cases. He does not state how he determined this. 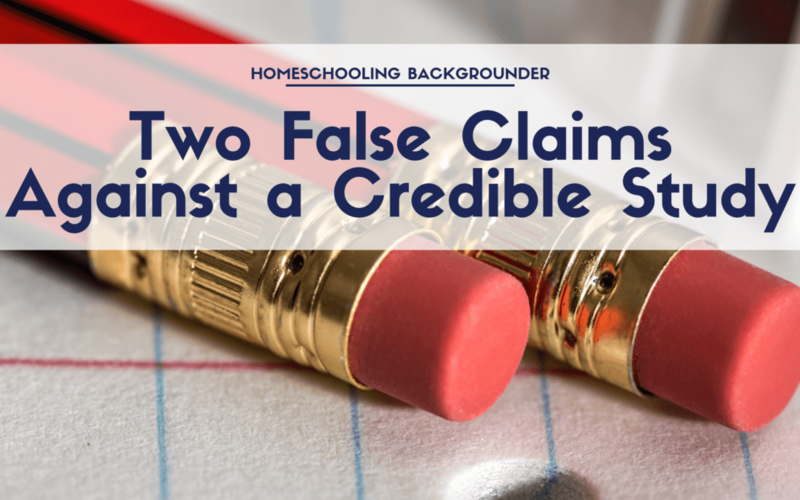 Our HIC team relies on published news sources, legal records, and in some cases correspondence with investigating agencies to determine that a case involved homeschooling. In order to investigate the legal status of each child’s homeschool as Williams claims to have done, he would need to contact the investigating agency (child services, law enforcement, or the courts), possibly using a FOIA request, to gain access to information which is rarely made public in the media. It is unlikely that Williams did this given that he did not report his methodology. Because the annual Child Maltreatment reports go through an additional verification process, their numbers sometimes disagree with the previous CWIG numbers. As a result, for a previous paper I calculated an estimate of 72 expected “homeschool” fatalities from 2000 to 2012, rather than the 73 calculated by CRHE. You only get different numbers (eg., 72 vs. 73) when you run your own calculations. But beyond using different sources for data than CRHE, there is a simple math reason I could not have produced a credible estimate by copying their estimate: Their estimate was for 2000-2012. My estimate was for 2003-2012. No researcher would dare try to claim a 10-year estimate just based on a single number representing a surrounding 13-year estimate. I know of no math techniques to do that legitimately. “Question: What criteria did you use to classify truants? “Answer: We used contemporaneous news reports available online to determine the characteristics of the parents or caregivers and the circumstances of the case. If that information indicated the perpetrators would not be likely to have filed the required paperwork, we categorized them as truant. “In the first case on our list of truant fatalities, the perpetrators committed welfare fraud by lying in state documents and collecting nearly $175,000 for the victim and his brother over a period of eight years. There is no evidence that state homeschooling paperwork was filed on the victim. “In the case of the next four fatalities, all from the same family, the family moved a lot. This makes it unlikely that the perpetrator would have kept a current address on file as required by state law. He was convicted of welfare fraud. And the family’s last residence was in a structure zoned commercial-only. He had been ordered to leave the building or to acquire a special permit, which he had not done at the time of the killings. “In the third case, the victim was killed two and a half months after the family had moved to a new state. He was tortured to death. The victim’s older brother had been killed before the move. It is difficult to picture the perpetrators taking time out after their move to file homeschooling paperwork with the state. “In the fourth case, the perpetrator collected state benefits for the two girls killed for probably a year after their deaths. There is no indication that state homeschool paperwork was filed. A surviving girl told police she went to school, though there were no records at surrounding schools of her attendance. Additionally, I provided a spreadsheet giving weblinks for each fatality I assigned as truant so that independent observers could verify my reasoning. CRHE made false claims against my study. Seriously false. I would accept an apology.